Q1. Can you tell us a little about your personal background? I’m a mechanical engineer by training and started off my career in R&D. I’ve been in the electronics industry for over 20 years and joined Orbotech in 2007 as the VP of sales and marketing in the PCB division. In 2010, I moved to Hong Kong where I served in a number of business and customer-facing roles, including President of Orbotech Asia East and, before that, VP products, marketing and customers. As the new President of Orbotech’s PCB division, I have now re-located back to our corporate offices in Israel where I am responsible for providing our customers with the innovative solutions that will meet their current and future PCB needs. Q2. End-user demands are driving a significant amount of change in PCB technology (size, rigid-to-flex, stacking to support additional features, etc.). How does Orbotech see these changes impacting the design and production of PCBs today and in the future? The Consumer Technology Association’s 2018 mid-year report predicts record-breaking consumer tech revenue will reach $377B by the end of this year. It is still the consumer that drives new component needs, and this ultimately leads back to PCB design and production. Whether it's a device that needs to be thinner, smaller, lighter, flexible, more connectable, or all of the above, our customers need to anticipate and respond quickly to these market demands. Orbotech has been in the PCB business for over 35 years and we know that our continuous innovation and our collaboration with customers and the OEMs is key to our continued mutual success. The electronics revolution is impacting all industries and applications, and the automotive industry is a good example of the remarkable innovation that is happening. The trend toward electrification and autonomous driving is prompting designs for an unprecedented amount of electronics. In fact, electronics are projected to account for 35% of the total cost of the car by 2020, and 50% of the total cost by 2030. Endless possible solutions are evolving, making this a highly innovative and dynamic environment for manufacturers. We are already seeing increased demand for HDI boards from the automotive industry. The boards are being used for a variety of functionality, including for highly reliable, high capacity, strong computing abilities to handle real-time ADAS (advanced driver-assistance systems) events for smarter safety decisions. Another example of how innovation is impacting the electronics industry is in the smartphone market, where the continuous demand to increase battery capacity and functionality has led the high-end smartphone industry to shift production to SLP/mSAP with its finer lines and smaller, higher density PCBs. Whatever the end solution, all of these new capabilities call for sophisticated manufacturing designs, testing, and solutions that Orbotech supports through new technologies and a deep understanding of our customers’ needs. Q3. Is it a major challenge to develop and adopt new PCB innovations while helping customers implement tighter manufacturing process windows, reduce OPEX, improve yields and boost quality? The PCB industry is currently experiencing an accelerated rate of change due to the trend toward seemingly unending device miniaturization, flexibility and functionality. These product innovations are compounded by the parallel need for manufacturers to gain greater insights into factory-wide manufacturing processes. For effective product and process improvement, manufacturers need to develop more precise tracking, traceability, transparence and repeatability, often from analog environments. This new depth of analysis requires optimal data acquisition, data quality and advanced analytical tools, but equally important, a high level of support and collaboration from Orbotech to solve these complex challenges. It is important to note, that regardless of the challenge, Orbotech’s support organization is committed to our customers’ problem solving. This includes ensuring maximum uptime and support for customers when adjustments are needed for application software or hardware issues. In fact, we often help customers well before production begins in the design phase of future products, as manufacturability is a key aspect of a design’s success. Q4. An area that is getting a lot of attention is Artificial Intelligence (AI). This heavily computer-driven capability must have implications for PCB design, testing, etc.? The robots of the 1950s promised human-like intelligence, but it hasn’t been until recently that the neural networks and the computing power necessary to accomplish this intellect have been available. The media has declared the “arrival” of AI, and Orbotech is deeply committed to developing AI solutions for our customers. Although a precursor to AI, a good example of Orbotech using system data and analysis for customer process improvement is the use of artificial intelligence algorithms for post-AOI verification. We are committed to using artificial intelligence to develop even more advanced, more efficient solutions which will enable our customers to further optimize their manufacturing process. Orbotech’s AI vision is built on three unique elements: control of the data, operational excellence and expert application knowledge. Our decades of expertise and experience in the PCB industry, and our wide range of solutions that touch numerous points in the PCB manufacturing process mean that we have a vast amount of accurate and reliable production data and are well-positioned to train our customers’ systems. We are able to simplify the normally very lengthy and very complex process of data tagging and training by embedding application-specific knowledge in each individual system. This ensures that the system is individualized, more effective and more robust. Our solutions enable an advanced level of machine learning and smarter, more accurate artificial intelligence and will lead to an optimized manufacturing process, which will help boost yields and reduce operational costs. Q5. What do you see as the major focus (goals, priorities) for Orbotech’s PCB division in the next 5 years? As a company, we invest 12-14% of our revenues annually in our R&D efforts to ensure innovation leadership in the PCB industry. Our top-level priority is to develop manufacturing processes and solutions that will support 5G and the other megatrends and trends that it will enable, including autonomous and connected cars, Industrial IoT, the next generation of smart phones, stronger and more robust cloud servers, and more. 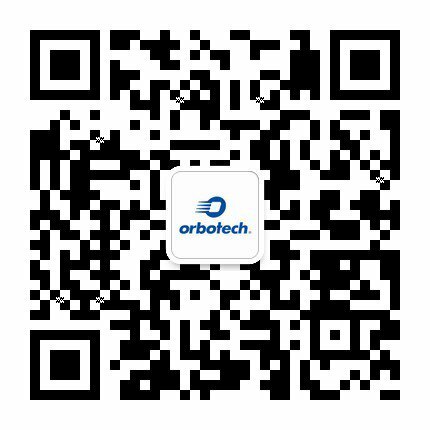 Orbotech is committed to delivering a pipeline of revolutionary and evolutionary solutions that meet our customers’ needs today, tomorrow and well into the future, through close partnership with our customers, and through our in-depth understanding of their needs, processes and roadmaps.